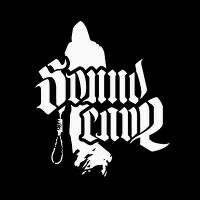 Sound Cave - Musica Metal e Dark estrema dal 1995. Benvenuti al nuovo sound-cave.com! Dopo 10 anni e più di onorato servizio, abbiamo pensionato il vecchio store! Questo nuovo store non presenta grandi rivoluzioni grafiche, siamo nell'epoca dove gli stores paiono tutti uguali, ma nei contenuti ed in alcune funzionalità volte a migliorare la comunicazione ed interazione con il cliente. Nonostante stiamo aprendo online in versione incompleta possiamo anticiparvi che troverete una struttura molto più pulita ed intuitiva, con una facilitazione nella presentazione delle varie sezioni (offerte, usato, rarità, preordini ecc) e la possibilità di creare un follow-up all'ordine con codici di tracciatura. Inoltre per chi vorrà registrarsi (non è più obbligatorio farlo) la possibilità di chiedere l'abilitazione all'utilizzo dello scaffale personale, ovverosia la possibilità di accumulare titoli sul vostro scaffale per poi convertirlo entro tot giorni in carrello e così ottimizzare acquisti e spedizioni. Questa funzionalità, così come l'account ingrosso, viene abilitata solo su espressa richiesta de cliente. 10" golden vinyl cut at 45 rpm for optimum fidelity. Contains "Dødskamp", in celebration of Edvard Munch, on side A and "Atomic Chapel", live, on side B in deluxe jacket limited to 500 copies worldwide. Originators of Cascadian Black Metal, Fauna have made an incredibly deep imprint on the American metal scene. Utilizing both unrelenting black metal alongside periodic acoustic meditations, they stand as a truly unique force, impacting fellow artists Agalloch and directly influencing the development of Wolves in the Throne Room. But while these artists have thrived in the public spotlight, Fauna chose to stay in the shadows, and to remain quietly in the damp, wild forests of the Pacific Northwest. 300 x black, 2x12" (140g), double innersleeve full-color on 220g, jacket full-color on 350gsm, 5mm spine, all assembled in a PVC overbag. 12", MiniAlbum,Limited and hand-numbered to 500.
they are just shrinkwrapped together! Ristampa 2013 per la Old Temple. Secondo full-length di questa band chilena death metal. Haar ambitious mission provoke the listener to try again to open their mind once again to the dark side, like it was done in the early ’90 when this genre was still a revolutionary shock for the scene. Atmospheric Doom from France. A debut album intense and melancholy! The idea behind Livsnekad began to grow after some conversations by Ulf Nylin and Andreas Larsen in october of 2007. They both felt needed to express another, much gloomy and much more emotional side of music than they experienced in other musicial projects that they've had throughout the years. Soon after the idea was born the first track was recorded and that's how this journey starts. A homerecorded EP was released in november, "Köttets och sinnets Biografi" and we have recently made a deal with Katastrophy Records, who will release our first full length album; "Den sociala vanförheten", this autumn. Go and read the myspace's blog for more detailed information on this. New album for this band from Germany. I tedeschi Autumnblaze sono in circolazione ormai da oltre un decennio, nel corso del quale si sono presi il lusso di modificare, in occasione di ogni nuovo lavoro, le proprie coordinate stilistiche, fno a giungere al gothic melodico ma di sicuro spessore mostrato in questo Every Sun Is Fragile. Debut release of Tolkein-themed, Polish Black Metal. Six years later the great "Operation Wintergewitter" album, new radical German Black Metal opus 5 tracks on digipack MCD. 4 panels digipack with booklet! you can preorder it now but this is not a limited edition or anything. "This what I call imagination and talent employed to produce true art. I have chills from that song and it is followed up “Curse”, a hymn filled with almost nothing but black voices, gasps, growls, hissing, vomit-like emanations, ghost-like screams of anguish – this album is a journey I assure you. I am mentally exhausted. A brilliant release that takes many elements you have heard, many you have not and combines them in a unique way that makes this record an absolute must own." Gatefold black vinyl incl. 60cm x 90cm poster. Finally available on wax, this is Axis of Advance's crushing debut. Recorded in early '99, thus far this has only been released on CD format. Pestiferum is like you have never listened since 13 years of existence, more biting than ever. After the successful “Ho Anthropos tes Anomias”, MYSTAGOS returns from their self-imposed isolation, carrying with them a new gospel from the Wordbearer: "Pvrvsha". This eclectic and experimental new offering delves deeper into the band's mythos, bringing with them new sonic landscapes that range from the industrial/ambient to the most rabid Black Metal. The wide-range of concepts included in this release culminate with the aural exploration of the Purusha, the cosmic man sacrificed to create all life. A piece of the cosmic soul present in everything, retained by the shells of this failed creation. "SANGUINARY REVELATIONS" is 10 songs and 35 minutes of pure "BLOOD & GUTS DEATH METAL" in the vein of IMPETIGO, AUTOPSY, INCANTATION, TERRORIZER, etc. As a special bonus, SURGIKILL has recorded the song "PLANET OF THE VAMPIRES", which was the FINAL song that IMPETIGO ever worked on back in the early 90's but never recorded because they broke up in 1993. Stevo wrote the lyrics in 1991 and he finally got to use them for SURGIKILL, and now after 2 decades you can finally hear this legendary HORROR DEATH METAL song. Prima stampa in digipack A5! With their second album, Peccata Mortalia, ENTARTUNG exhale a crypt-stench stronger than death. Indeed, Peccata Mortalia displays the duo in an even stronger (black)light, the songwriting both more assured and distinctive and the execution more vile and grim. Shadow-draped yet melodic, despite the band's Teutonic origins, ENTARTUNG forego the mystical/medieval vibe of their country's usual black metal style and, in fact, slot well alongside Finland's filthy and emotive idiom of the past decade. The third studio album from US Death Metal masters Morta Skuld. Originally released in 1995, For All Eternity exhibited a refreshing blend of heavy and brutal Death and Doom along with more atmospheric and, at times, melodic elements. Forging a different path from the straight forward high-octane Death Metal releases prevalent in the US scene at the time, this melody sensibility helped distinguish Morta Skuld from many of its peers. The album notably features the song Germ Farm, originally by cult Death Metal act, Dr, Shrinker. This edition of For All Eternity is presented with the original sleeve artwork, made by SV Bell (Rotting Christ). Death Metal supremos TEMISTO, with their brand new debut magnum-occultus simply entitled "Temisto". Blending a perfect mix of the blasphemous nature that is Death Metal with bursts of intricate maze-like passages executed with razor sharp precision, TEMISTO undoubtedly exudes an unspeakable zeal for the obscurity and unworldly. Produced and engineered by ex-Morbus Chron frontman Robert Andersson with Elias Scharmer (ex-Abduction, ex-Mutilate) and then painstakingly mastered at Necromorbus Studio by Tore Stjerna (Watain, Desultory, Repugnant, etc). Also featuring the gracefully morbid artwork of Obsessed By Cruelty (Enforcer, Sabbat, Wolfbrigade, etc). Debut fullenght album released on Tumult Records. This is what would happen if Steve Vai joined Summoning. Tolkin & Scandinavian mythology inspired ambient heavy metal which ranges from neo classical passages to soaring guitars all blended with progressive rock, spoken word tales and clean vocals in a dark baroque rock opera. New 2013 album from Austria. ?